Recently, Facebook Place has been released officially by Facebook. Currently is only available for USA but they have the camping to released this feature to all other existing countries in the world. 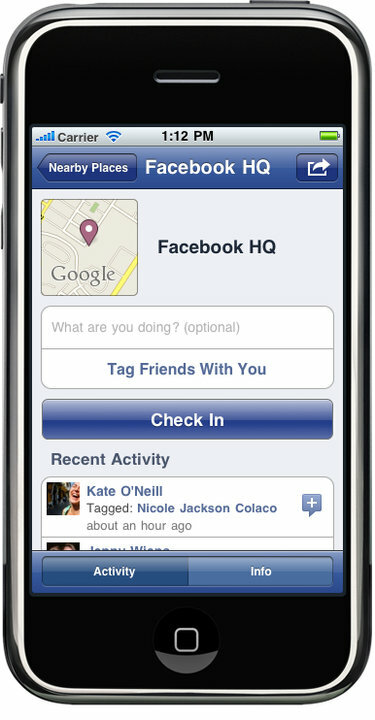 Facebook Place allow you to know about the current location of your friends. And you can you Facebook Place on your mobile or iPhone sets. To use this feature to your mobile, you should have Facebook application for iPhone or Facebook Touch. Your mobile or browser must support for HTML 5 and W3 GEO location to access this feature. How to use Facebook Place? Go to the Place on Facebook application or Facebook Touch. Then, Tap the Check In button. Short message display on your friends New Feed or the notification shows o n Recent Activity. And then, you are ready to enjoy with it! You can found more details about the new Facebook Place at the Official Facebook Blog. Share you opinion are you going to use this new feature of Facebook? Do you like it?